Thanks for visiting. My mission is to help you and your family avoid accidents, particularly serious ones. You will find links below to download PDFs of my three books at no charge. You may print any of the pages that will help you and your loved ones develop Personal Safety Plans and lead safer lives. Also, I encourage you to share this website address with others. Remember - All Times Are Safety Times! If this information proves helpful and you wish to make a contribution to defray the expenses of this website and publishing effort, please send a check for any amount payable to Safety Times to the address below. A link to information about the author can also be found below. that show why the books are a must for your family. Live Safely in a Dangerous World is a proud winner of the 2006 Parent to Parent Adding Wisdom Award, the only award program to ever be honored by Disney.com. Live Safely in a Dangerous World was selected from over 1500 entries as one of the Ten Outstanding Books of the Year in the 2003 Independent Publisher Book Awards competition. Live Safely in a Dangerous World was also selected as the book "Most Likely To Save The Planet" in the 2003 Independent Publisher Book Awards competition. The book won a 2003 Writer’s Digest nonfiction category award. and productive lives by avoiding accidents. the hazards we face every day of our lives. This year over 120,000 people of all ages will die in accidents in the U.S.
Over 37,000,000 (about 1-in-8) of us will suffer injuries this year that require professional medical attention. Some of these injuries are life-altering. Lifetime odds of dying accidentally are about 1-in-30 for males, and 1-in-50 for females. Accidents are the leading cause of death for kids, teens, and young adults, ages 1 to 42. Live Safely in a Dangerous World (289 pages) is an award-winning book that was originally published as a paperback. Almost all topics are printed in a two-page format. 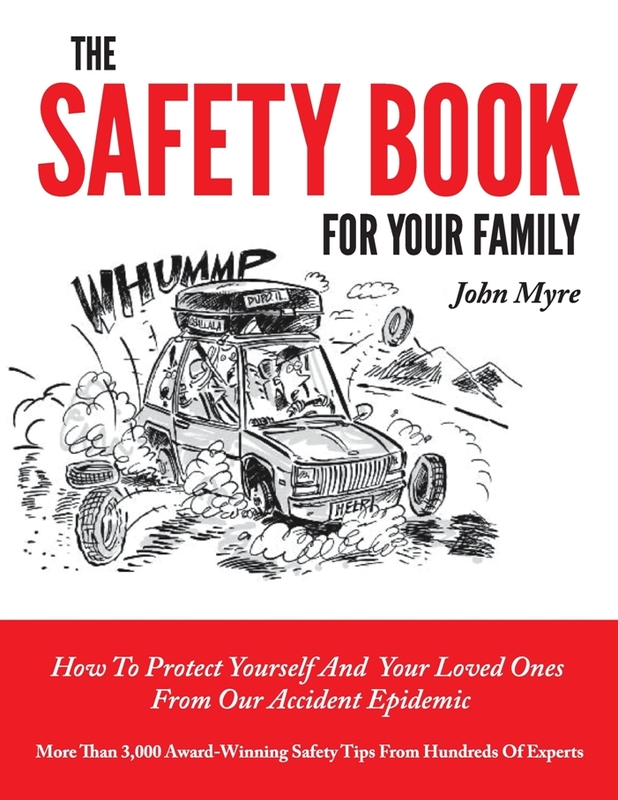 The Safety Book For Your Family (142 pages) is an updated e-book version of Live Safely in a Dangerous World. All topics are printed in a one-page format. Both books have over 125 easy-to-read topics on Driving, Home, Leisure and General, and Kids' safety. 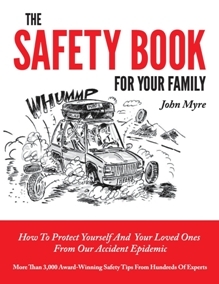 The information in The Safety Book For Kids comes from the The Safety Book For Your Family. stories to help get the points across. For years, Gail kept her favorite captain’s chair with its comfortable seat cushion beside her kitchen pantry. Not only was it an attractive piece of furniture, it was also perfect to stand on for reaching objects stored high in the pantry. On a stylistic whim, she replaced the flat cushion with a thicker version. The next time she climbed onto the chair, the surprising thickness of the new cushion caused her to lose her balance and crash to the floor, injuring her shoulder and striking her head. ● To keep you and your loved ones safe, you will have at your fingertips over 3,000 safety tips. These tips came from hundreds of safety experts. 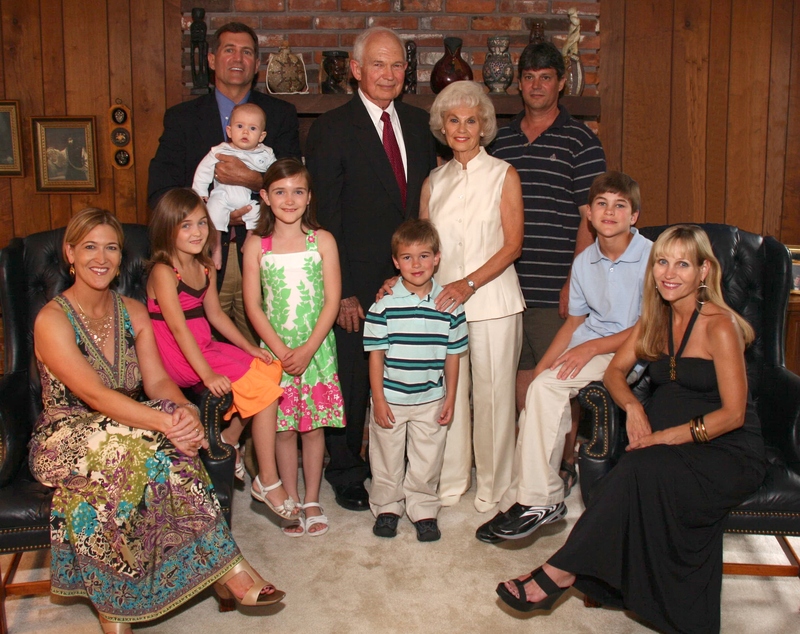 ● You can use these tips to tailor Personal Safety Plans for the safety of every family member. ● Safety plans are not static; they must change with the seasons, and as your family and activities change. from Live Safely in a Dangerous World. topics have sections with child and teen safety tips. click this link. There is no charge for the books. More information on how this safety material will help your Company Safety Program is available at another location on this website, Safety Times Reproducible Articles. At the bottom of that page is a link back to this page, The Safety Book For Your Family. Thanks for visiting and for your support in reducing accidents. Please tell your friends and associates about this website and our services. Also, your comments and suggestions are welcomed.